NEXT | Build your own Shadowmourne! Dwarves and gnomes are fairly similar in background origins, which is why we’re tackling both races here in terms of age in roleplay. Touched by the Titans and later by the Curse of Flesh, both dwarves and gnomes aren’t immortal by any means, but their life spans are longer than their human allies. 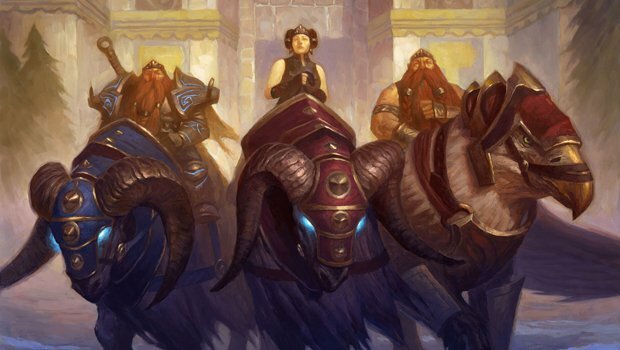 They may not have seen as much history as a night elf or draenei, but dwarf and gnome characters could have easily had a presence in all three major wars on Azeroth, even if it wasn’t a major one. Dwarves in particular have always held a fascination with history, but up until recently, gnomes really didn’t share the same reverence or interest in the past. 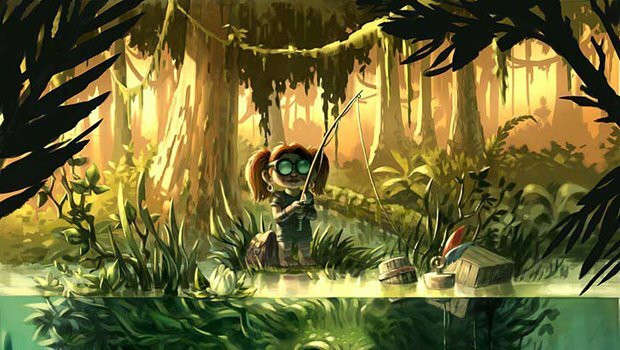 In Wrath of the Lich King, gnome origins were finally revealed, shedding a little more light on the curious race of inventive tinkers. Dwarves and gnomes are forever linked in the Alliance, mostly because without the dwarves, the gnomes likely never would have had any kind of real presence in the Alliance at all. According to the Warcraft RPG guides, both dwarves and gnomes reach maturity at age 40, middle age hits at about 100-125, and both races live until around 450-500 years of age. Far longer than your average human, but a really ancient dwarf or gnome wouldn’t hold a candle to an aged night elf or draenei. However, these references do come from the Warcraft RPG guides — and as these books are no longer canon, this is really just a potential reference, not set in stone. If you’d like your gnome or dwarf to be younger than the suggested age of maturity, that’s perfectly fine. This does mean, however, that it’s absolutely plausible for your character to be old enough to remember the formation of the original Alliance of Lordaeron, or even have participated in the Second War without being particularly old, by dwarven or gnomish standards. For dwarves, they may even have participated in the War of Three Hammers, well over 250 years ago, and still remember it like it was yesterday. For gnomes, it means that the fall of Gnomeregan is absolutely a fresh and painful memory, although recent developments have been a little more triumphant. And although the stated life span in the Warcraft RPG guide only extends to 450-500 years or so, that number is always extendable via magical means. Or in the case of gnomes, possibly even technological means, given the gnomish sense of innovative ingenuity. It’s not far fetched at all to have a long-lived dwarf or gnome, especially given the unique circumstances of their origins — any race touched by the Titans is apt to be a little unique. There’s a few different questions you can ask yourself in regards to creating a dwarven character, the biggest and perhaps most influential in terms of history is simply which of the three clans they came from. Although you can only really create a character that appears to be from the Bronzebeard clan, you can use RP addons to indicate your character’s origins and any deviations in appearance from the original model, like the dark skin of the Dark Iron clan, or the intricate tattoos of the Wildhammer. Keep in mind that most dwarves living in Ironforge are Bronzebeard — the Wildhammer and the Dark Iron especially were very recent additions. This is because of the War of the Three Hammers, which shattered the clans apart and sent them in different directions. The war took place at year -230 in the Warcraft timeline, approximately 260 years before we hit the shores of Pandaria. Because of the relative length of dwarven lifespans, your character may have witnessed the events of the war first hand. It began with the death of Modimus Anvilmar, high king of the dwarves. When he died, civil war broke out between the three major clans — Bronzebeard, Wildhammer, and Dark Iron. Each wanted supremacy and the chance to rule from Ironforge. This civil war dragged on for years, and the Bronzebeard were ultimately victorious, banishing both Wildhammer and Dark Iron from the mountain. For the Wildhammer, this meant they traveled north, settling in their own mountain city of Grim Batol. For the Dark Iron, it meant they traveled south, settling in the Redridge Mountains and founding a city of their own. The Dark Iron weren’t about to let the Bronzebeard rule in peace, however, and war once again beset the dwarves, ending with the desertion of Grim Batol, the continued reign of the Bronzebeard in Ironforge, and the summoning and subsequent enslavement of the Dark Iron by Ragnaros the Firelord. Recently, however, these events have shifted — Moira Bronzebeard, daughter of King Magni, now leads the Dark Iron. All three clans have come together in the aftermath of King Magni’s petrification, and now lead by joint council. But old hatreds die hard. And while all three clans are currently working together in tandem, it doesn’t necessarily mean they get along. These are all elements you can play with, regardless of what clan your dwarf hails from. For gnomes, history is a little less defined. 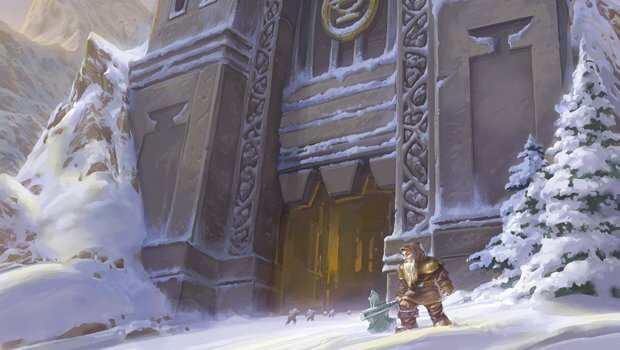 Gnomes were “discovered” by the Ironforge dwarves approximately 200 years ago, but their first appearance dates much, much further back — a gnome was present for the founding of the Guardians of Tirisfal long before the dwarves were ever even introduced to the human race. None of this really affects the history of a gnome character beyond the fact that they more than likely were there when the gnomes first allied with Ironforge — although to be fair, it wasn’t quite an alliance so much as a meeting of like minds. 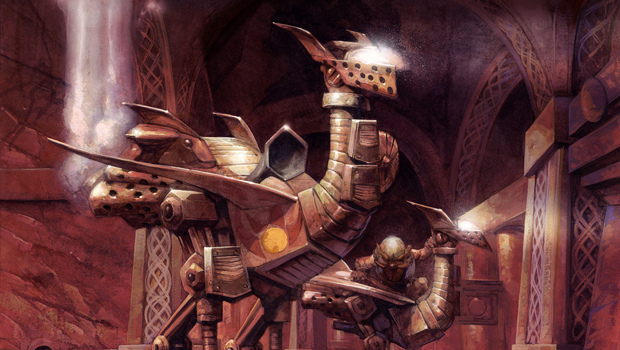 While dwarves were incredibly skilled with metalwork and smithing, gnomes displayed a capacity for technology that the dwarves found incredibly fascinating. The two races were simply well suited for each other, and Gnomeregan was established in the foothills of Ironforge. It was, in fact, this close relationship with the dwarves that brought the gnomes on board with the Alliance of Lordaeron. The gnomes likely didn’t really have any strong feelings either way regarding the wars that raged between orc and human, but if their dwarven friends considered this a fight worth joining in, they’d certainly join in and help, too. But somewhere during the Third War, tragedy struck when the entire city of Gnomeregan was irradiated due to the treachery of Sicco Thermaplugg. Gnomeregan was evacuated, and gnomish refugees were given a place to live in Ironforge. 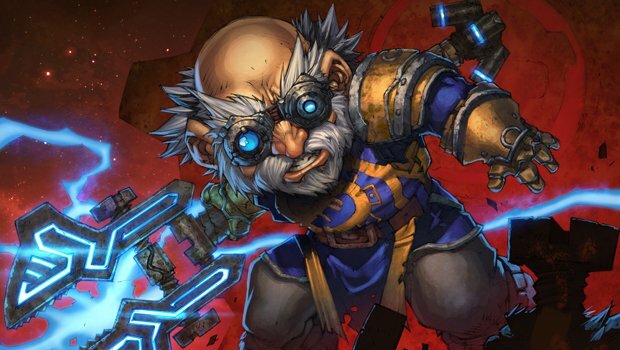 In recent years, the High Tinker launched a campaign to retake Gnomeregan, and while it wasn’t a complete success, the gnomes have now mostly moved back out of Ironforge, although they still hold their dwarven friends in high regard. But events in Wrath of the Lich King threw an interesting wrench into gnomish history. While gnomes never really had the same reverence for history as dwarves, events in Northrend revealed the origins of the gnomish race. Once mechanical creatures known as mechagnomes, the species was altered forever due to the Curse of Flesh, evolving into the gnomes as we know them today. Although this may not seem like much on the surface, how your character reacts to the idea that his or her species were originally robotic is an interesting space for character development. In the wake of Pandaria, all members of the Alliance have been affected by Garrosh Hellscream’s plans and ultimate downfall. For the dwarves, current events still have tensions running a little high, but far less than when the Council of Three Hammers was established. Moira and her Dark Iron have been taking great strides to improve their reputation with the other two clans. Whether or not her efforts are genuine have yet to be revealed, and are completely open to individual interpretation. And despite Moira’s willingness to join the Council, not every Dark Iron necessarily agrees with her, either. The Wildhammer haven’t exactly been welcomed with open arms, but the Bronzebeard clan is far more willing to work with the Wildhammer than the Dark Iron. For gnomes, life continues on and efforts to completely retake Gnomeregan are an ongoing process. Recently, gnomes have taken an interest in the Light used by their dwarven allies, and gnomes have begun to practice the priesthood themselves. This may be some kind of epiphany brought on due to the revelation of their origins, or it could simply be scientific interest, but gnome priests are just as adept with the Light as they are with the arcane. For both races, Draenor is yes, a threat, but far more than that, it’s an opportunity to explore a world untouched by the ravages of fel magic. Draenor may be brutal and savage, but the orcs have access to technology that is fascinating to gnome characters, and forging techniques that may hold particular interest to dwarven smiths, while the ogres display a deft mastery of the arcane that gnomes may find fascinating as well. And for both races, the opportunity to once again help their human allies is of course something they’ll readily agree to. Despite their differences with the other races of the world, both dwarves and gnomes ultimately want what’s best for Azeroth — and if that means traveling to a far-off world to prevent certain disaster, they’re all in.